Funded project from the KickStarter. This is a Durio DualMono All-the-way (Assembled). * Fully assembled, ready to use! 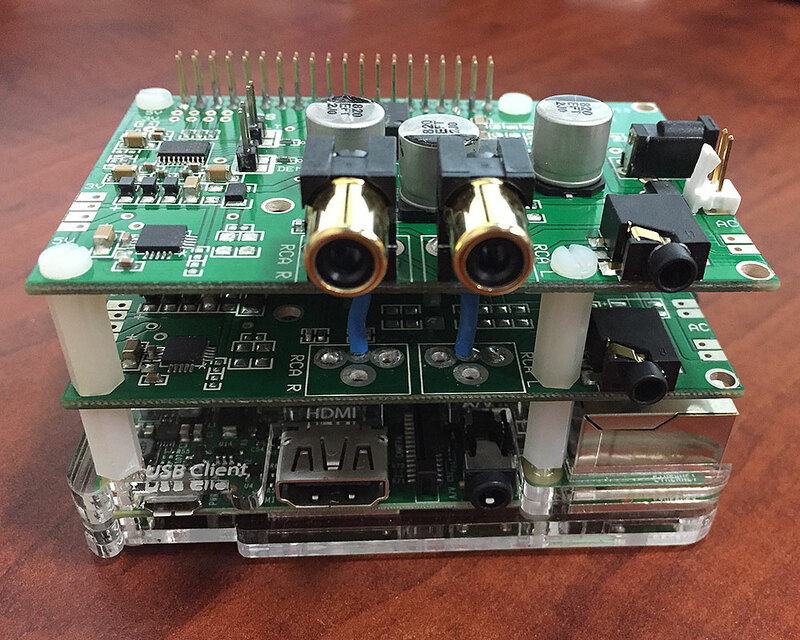 Introducing Durio Sound for Raspberry Pi: a DAC for Raspberry Pi that let you enjoy a dynamic ultimate sound quality. The Durio Sound will get your music to a quality that is much closer to how the artists originally intended, helping to hear sounds that you never could have before. 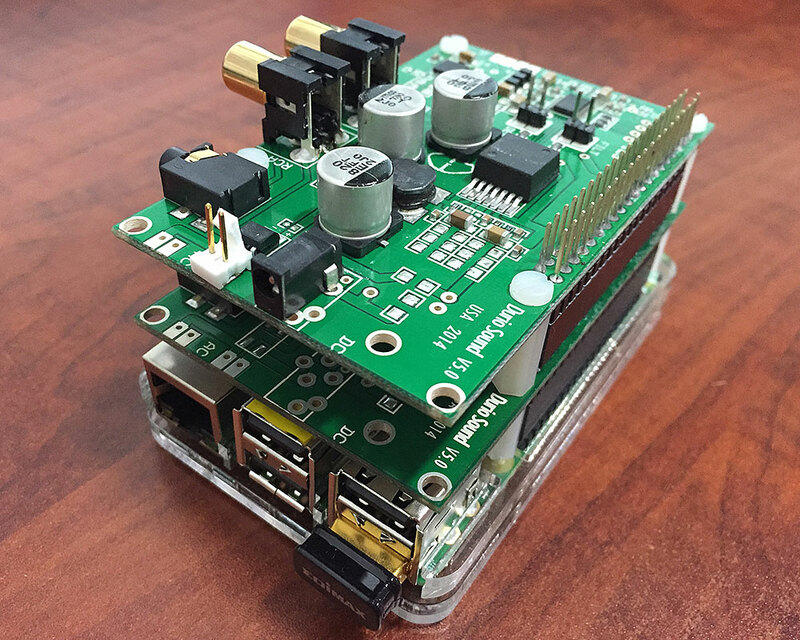 Durio Sound for Raspberry Pi adds a high-quality sound to your Raspberry Pi. 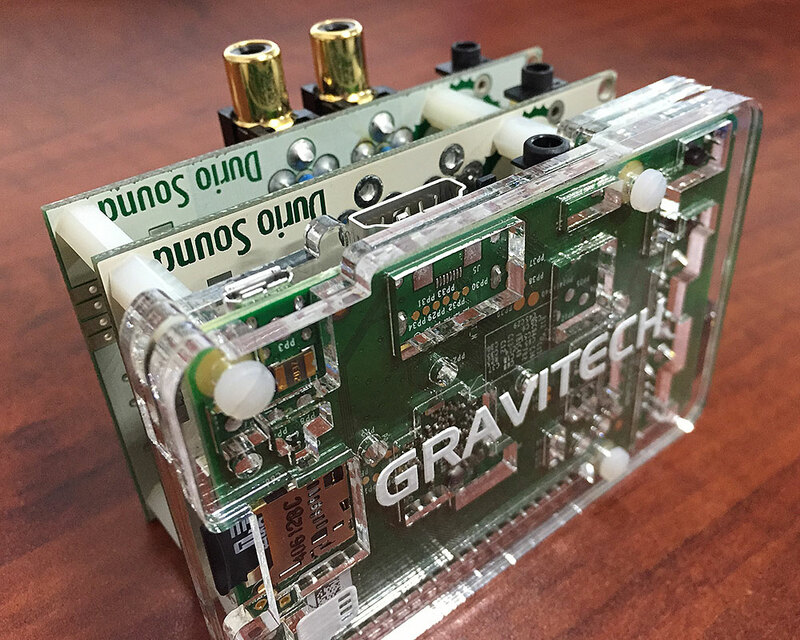 Our sound cards are designed for optimal sound output quality. It is the ideal solution for all Raspberry Pi users that love music. 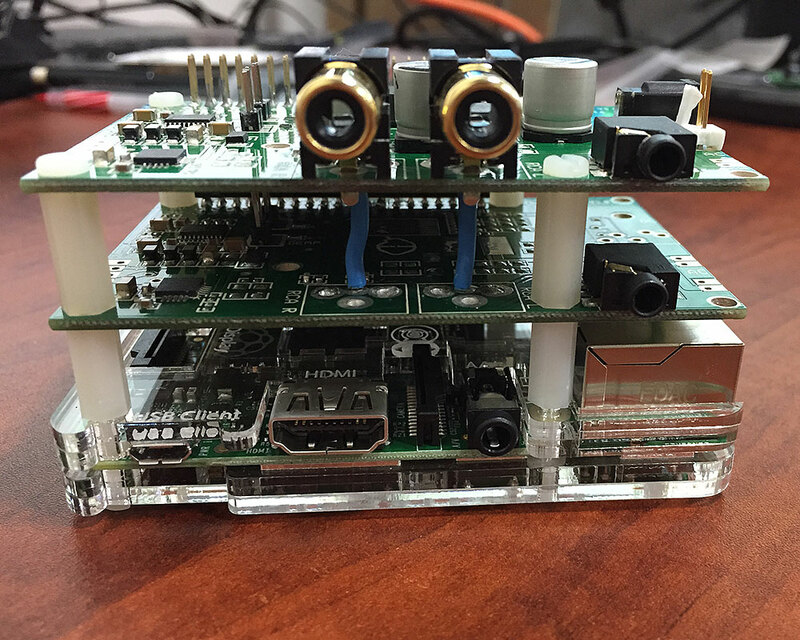 Durio Sound connects directly to the Raspberry Pi where no external cables are needed. No need to solder any header or wire, just stack the Durio Sound on top of your Raspberry Pi because the board is the same size as the Raspberry Pi. It is also supported in the standard Raspberry Pi kernel that is included in the Raspbian distribution ranging from A, B, and B+. 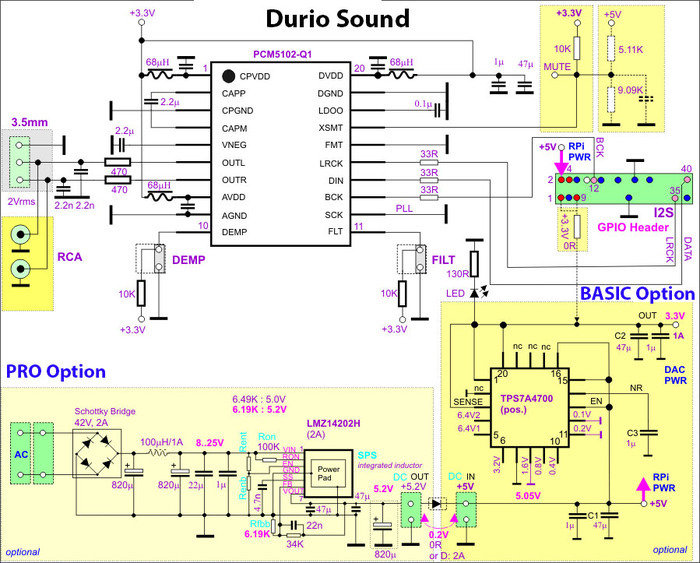 Durio Sound is a modular concept of professional audio solutions. It provides high quality audio conversion (DAC), flexible interface extensions as well as audio quality enhancements. The Durio Sound can be combined with any computer or module capable to provide digital audio signals, e.g. Raspberry Pi etc. The Durio Sound DAC processes the high quality I2S signal which is provided by any source. Durio Sound is the most flexible way for computer based audio solutions with a very high sound quality provided. BASIC – This option comes with the very-low-noise 3.3V LDO voltage regulator which provide a cleaner power to the DAC chip. You still need to power the board via the USB cable from the Raspberry Pi. PRO – In additional to the Basic, this option comes fully loaded with the 5V switching power supply. You can power the system via the external AC or DC wall transformer. This provide the cleanest power to the DAC chip for the ultimate sound quality. 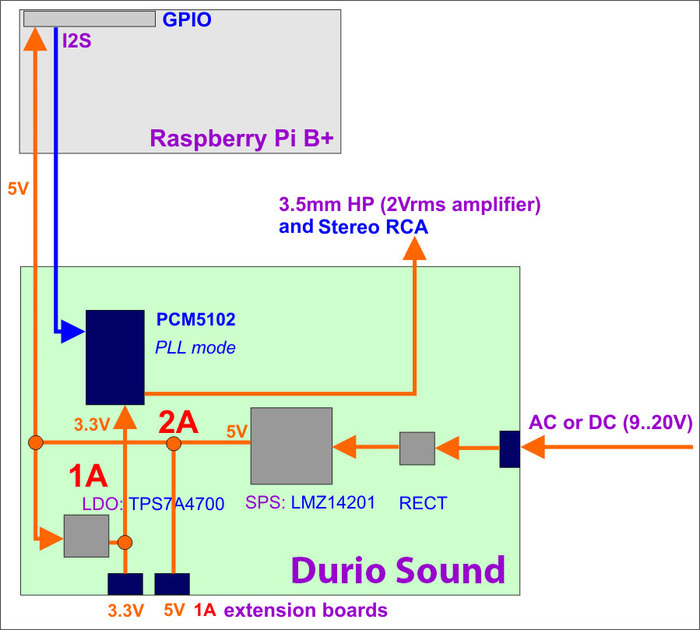 The Durio Sound works by receiving the digital I2S signal from the Raspberry Pi. The signal get process by the PCM5102 DAC chip then send out as the analog waveform to the 3.5mm jack and the RCA connectors. The key to an ultimate sound quality is to provide the cleanest power to the DAC chip. The Durio Sound has accomplish this task with the high quality on-board +5V switching mode power supply and the +3.3V very-low-noise LDO voltage regulator. All of the components are carefully selected (i.e. audiophile grade capacitors, resistors, gold-plated phono sockets and etc.). 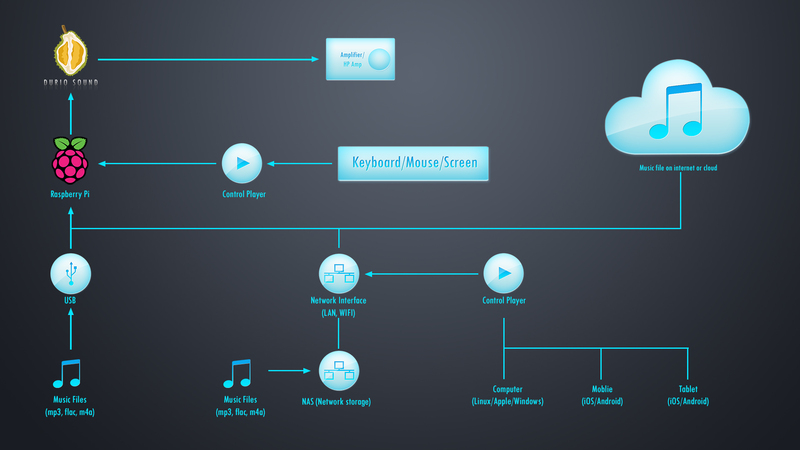 A block diagram below shows how this work. 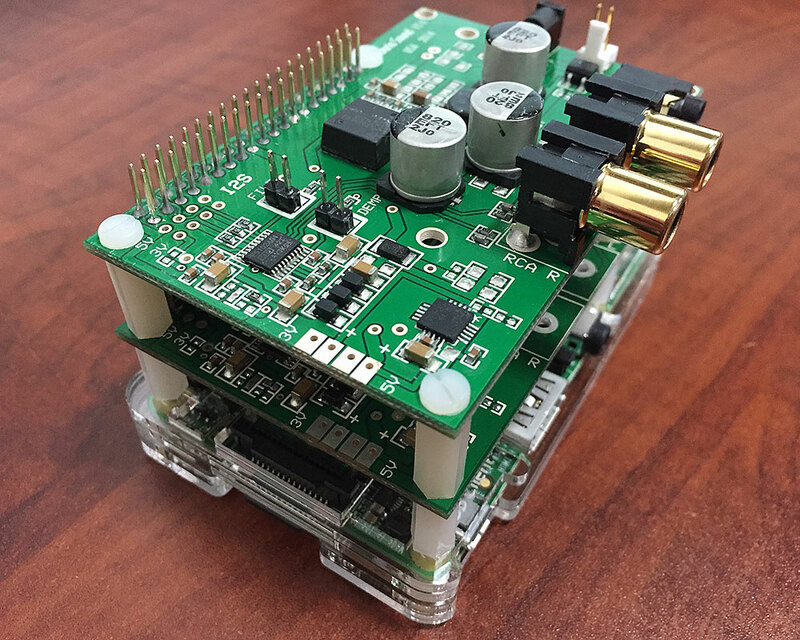 The design is hackable, expandable and open source.